Yesterday, one of the Outbound Adventurers and I drove more than 600 miles from Big Bend National Park back home to Houston. It was the only time I'd visited the park in my more than 10 years in Houston, and it was truly spectacular — I can't believe I waited this long! But more on that another week. I struggled to prepare for this trip. I knew I'd be camping in the Chihuahuan Desert, but as many times as I have been camping, this was my first time roughing it in such an arid environment. I just wasn't sure what to expect, but I figured it had something to do with extreme dehydration and mountain lions. Yet each night of the trip, we'd be primitive car-side camping — meaning we wouldn't have running water or electricity but would be close to the car — so some luxuries definitely could be afforded. I ended up packing a hybrid between backpacking and car camping supplies. Toilet paper; I haven't quite graduated to the rock or pinecone stage yet. I also ended up printing out directions and maps in the event cell service or wifi were unavailable.Overprepared? Maybe. These are the items I didn't use. On the flip side, here's what I wish I'd brought. Swimsuit — I didn't know I'd need it in the desert! I knew I'd overpacked, but here's what I used that surprised me. 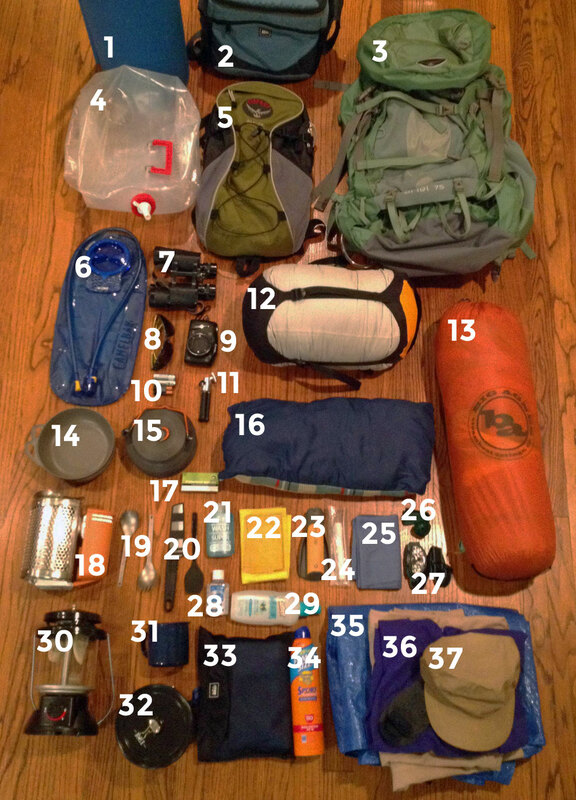 How do you handle packing for a new environment? Would you like to share a packing victory? Leave a comment.